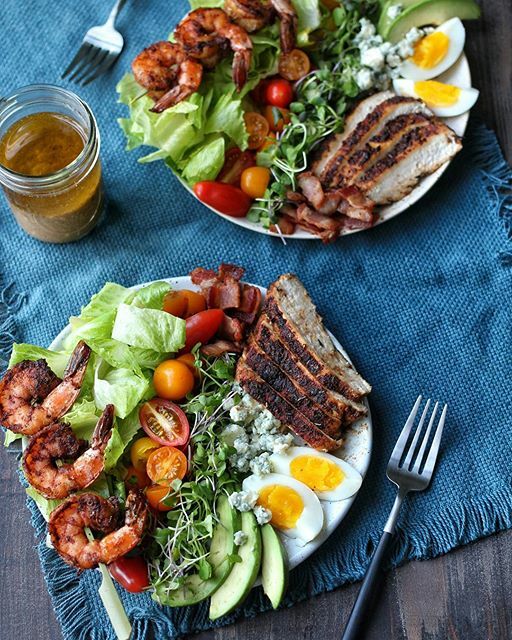 It may only be the unofficial start of summer, but we're all for simple, easy to pull-off dinners from here on out! Summer on a plate! Shuck all of your corn and remove it from the cob now so you can reserve half for later in the week. 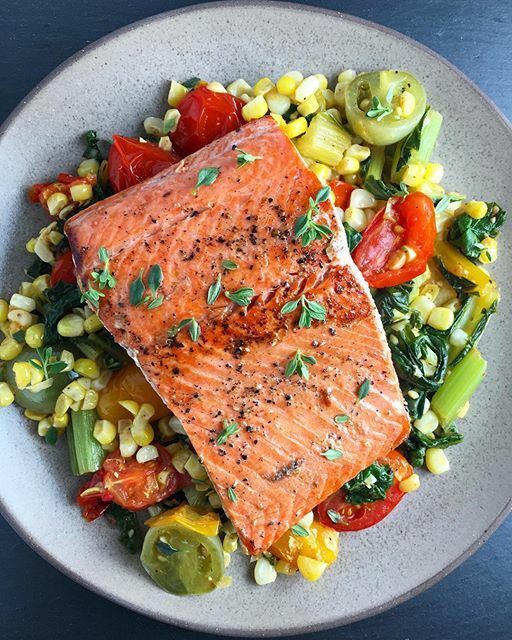 Feedfeed Tip When searing salmon, we like to start "presentation side down" (or skin side up) to get a nice golden brown crust on the flesh. Be sure to season your salmon well and don't flip the fish until it can move freely in the pan without a struggle. Now that's a salad! Be sure to cook all of your chicken tonight so you can use some later in the week. Feedfeed Tip When making homemade dressing, we like to layer all of the ingredients in a jar with a tight fitting lid. Give it a shake and you'll have the perfectly blended vinaigrette! This hearty meatless dish is the perfect easy dinner for a warm spring evening! 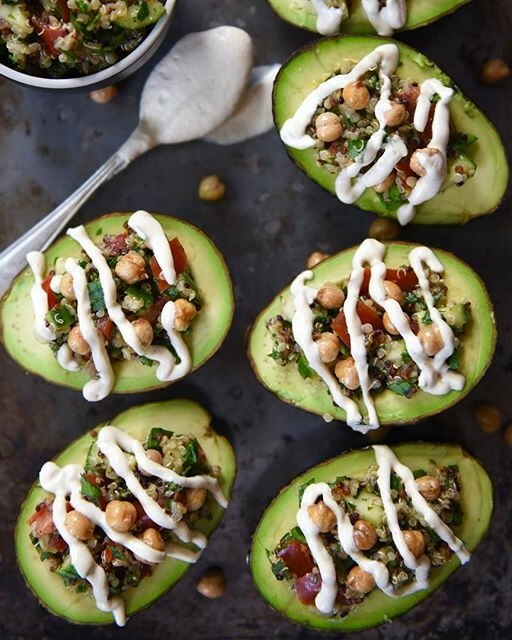 Feedfeed Tip To keep the cut avocados from browning, rub the cut side with lemon or lime juice. 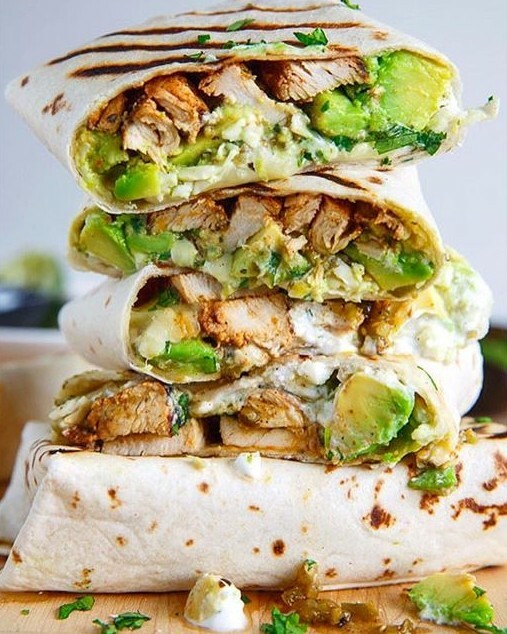 Grab your leftover chicken and roll up a stack of these burritos. 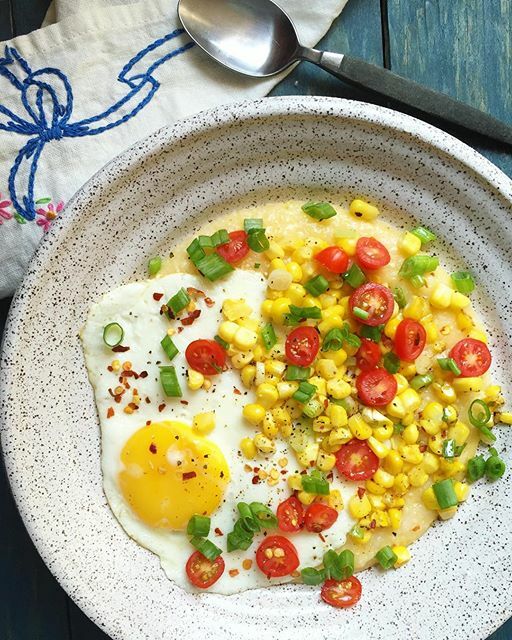 Use the corn you prepped earlier in the week for this simple breakfast-for-dinner option. Feedfeed Tip For more flavorful grits, you could replace the cooking liquid with chicken stock or up the umami factor by tossing a parmesan rind into the cooking water. 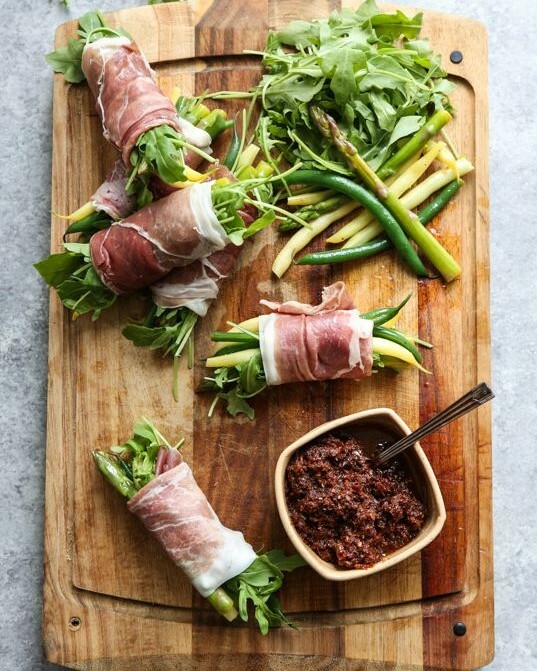 After the vegetables get a quick blanch, there is no further cooking required for these flavorful little bundles! 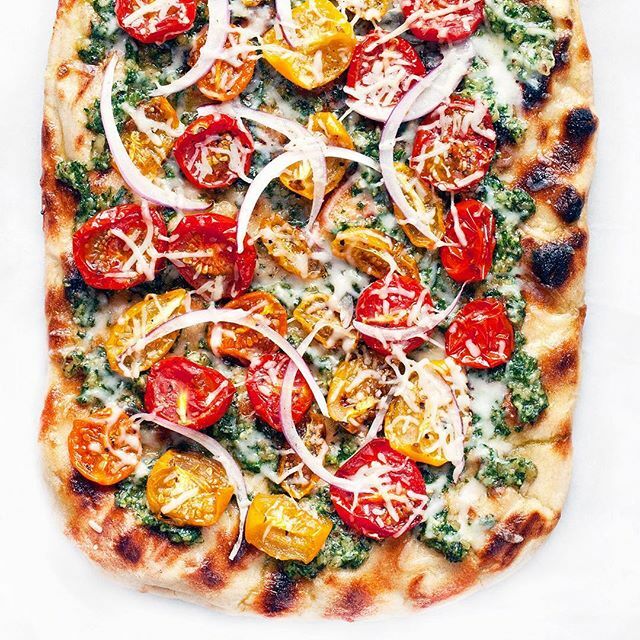 Double up on the pesto and store it in the fridge for tomorrow! Feedfeed Tip Using walnuts instead of traditional (and expensive!) pine nuts is a great way to keep the cost of making pesto at home down. We included the ingredients for homemade dough in the shopping list, but if you are short on time just pick up store bought pizza dough.